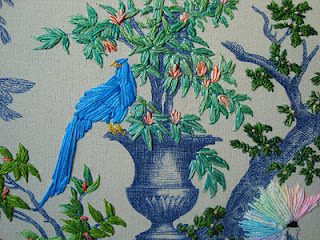 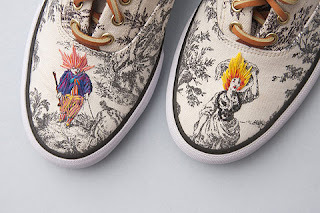 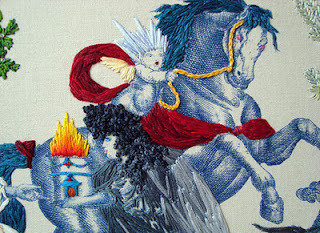 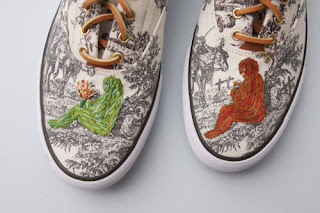 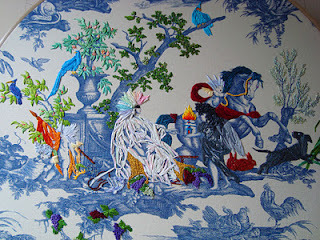 There’s Toile and There Is Richard Saja’s “Embroidered” Toile! 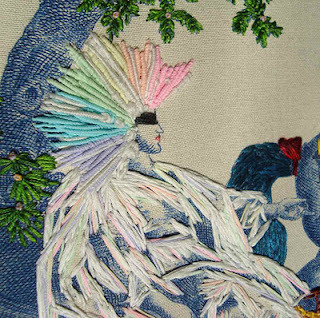 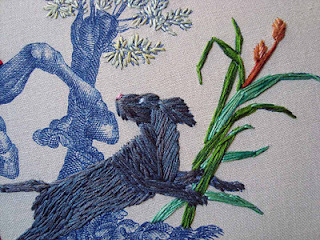 Artist Richard Saja manipulates pre-existing historical scenes printed on fabric known as toile, by threading colorful floss over and around the people and creatures inhabiting them. As a blend of humor and delightfully odd imaginings, the work carries the weight of the past within its foundations while new skins of magic, freak shows, circus clowns and odd couplings brighten the compositions and infuse it with a sincere beauty. View more of the intriguing works below.